We are pleased to introduce our new Video Aliasing Filters for the Blackmagic Ursa Mini and Ursa Mini Pro, and the Blackmagic Micro Cinema, Pocket, and 2.5K Cinema Cameras. All our Blackmagic filters now include integral Infrared Filtration! Like our other VAF-series Video Aliasing Filters, these unique cinematography accessories optically correct the well-known moiré and aliasing artifacts common in the supported cameras' HD video. The VAF series now supports the Canon 6D, 7D, 50D, 60D, 70D, 5D Mark II, T2i/550D, T3i/600D, and T4i/650D, T5i/700D, T6i/750DX8i, and T6s/760D/8000D, as well as the Nikon D800, D800E, D600, and D610. Optical anti-aliasing filters, subassemblies, and systems. 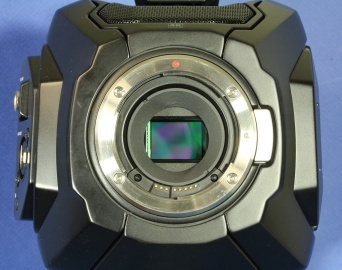 Digital cameras and imaging modules. Real-time image and signal acquisition and processing platforms. Please contact us to discuss your own particular application or requirements.